Why do electric vehicle car fires get so much more attention than gasoline car fires? News surfaced today that, on Tuesday at 8AM local time, a Tesla Model S had been in an accident and caught fire near Seattle yesterday (on Washington State Route 167 in Kent). Today, the Tesla Motors stock price (TSLA) fell by 12 points to $180/share (a 6.24% drop) on sharply higher volume. Going by pictures found online, Model S was heavily damaged in the fire, which appeared unrelated to electric drive train components like the battery pack. What we have available is a video and a few pictures posted by Jalopnik. These show a fire concentrated in the front of the car, the front trunk area, that did not reach the battery pack nor passenger compartment. A statement released by Tesla Motors (below) indicated that the car in question "collided" with a large metallic object, damaging the Model S. The car's on-board alert system instructed the driver to pull over safely, and that the design of the whole car (and the battery pack) worked to contain the fire in the front of the car. In the Model S, the front area that would normally hold an engine is empty, and is configured as a cargo area. The battery pack is underneath the passenger compartment, and the electric motor and controller components are in the rear. The pictures do not show either of those components on fire, simply the front trunk (a.k.a. "frunk"). An ABC News report says that fire-fighters needed several attempts to extinguish the fire, because it kept re-igniting. Gasoline car fires are so common (250,000 a year or so) that they largely go unreported in the press. Even the ones which cause fatalities. Which makes one scratch their head over why an electric car fire receives so much attention, especially when in this case the Model S safety systems functioned perfectly to contain the fire and not produce injury to the occupants. The previous electric car fire involved a Chevy Volt that had undergone crash testing in May 2011, and then caught fire three weeks later after leaking coolant fluid caused a short circuit. During subsequent investigation the NHTSA investigators caused two Volt battery packs to catch fire while looking for a cause. That fire caused a faux furor during the 2012 election campaign. In May 2012, a car accident in which a Toyota Camry struck and destroyed a parked Chevy Volt did result in a car fire, of the Camry. In a discussion thread on the Tesla Motors Club, it's pointed out that the Model S battery pack is designed in sections with anti-fire barriers between sections. The intent is that even if part of the pack catches fire, that it's unlikely for the entire pack to catch fire. It's unknown at this time whether or not the pack in this car caught fire, but if it did the containment system did its job. There is valid right to be concerned about the risk of electric car fires. Tesla Motors said so in the listing of risk factors in the company's SEC filings. Their response was to work hard on battery pack safety, earning several patents in the process. If one is to raise alarm about electric car fires, then one should raise a similar alarm about gasoline car fires. There are over 100,000 plug-in electric cars on US roads at the moment and if fires in electric cars occurred at the rate of gasoline car fires, there would already have been dozens of electric car fires. 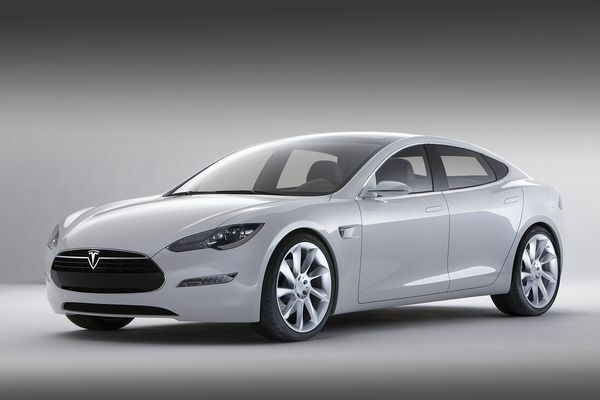 Instead, there have been two: a Chevy Volt following crash testing, and this Tesla Model S.